Restoring your car to a “factory-new” appearance is a multi-step process. After the damaged metal and plastic body areas are repaired, a variety of cleaners and etchers are applied to condition the surface and to ensure adhesion of the paint system. This is followed by primers which fill crevices and protect against corrosion and rust. After sanding, another primer/sealer is applied to provide a uniform, satin-smooth surface. The color coat is then applied, often followed by a clear coat. 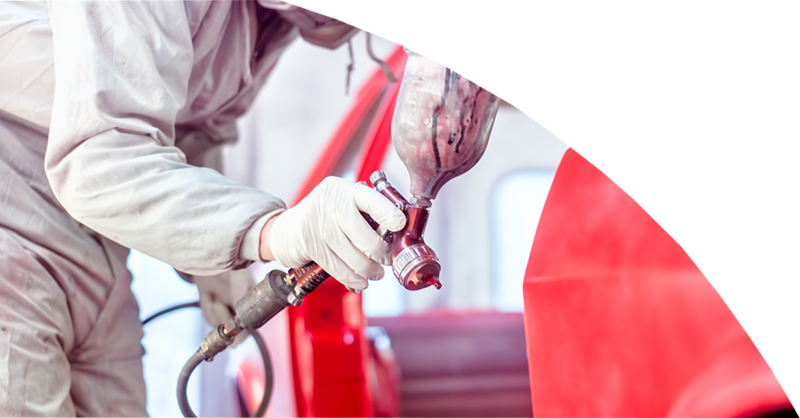 Our expert painters will precisely match the color of your vehicle using a combination of factory color codes and a computerized measuring system. To provide our customers with the most durable finish possible, we use PPG paint. PPG paint is used by OEM manufacturers such as Jaguar. The PPG refinish line dates back to 1902. Since then PPG has grown into one of the leading suppliers worldwide. All painting is done in a modern semi-downdraft paint booth. The downdraft flow of air prevents overspray from occurring and keeps dust out of the finish. What are Boyd’s 3 favorite things? 1 – Giving back to the community, 2- Vehicles, 3 – BBQ’s! We’ve put them together to bring our community of the Okanagan not only a way to give back to the community, but host a party that will be the talk of the town! Back in 2005 Boyd Autobody had a brilliant idea... making BBQ’s. But this wouldn’t be any average BBQ; it would be named the Car-B-Q! It is a simple design of taking a rear or front end of an old make/model car and engineering this into a CAR-B-Q! Boyd Autobody & Glass has been a huge community supporter. We usually raise on average over $3,000 yearly by renting out the Car-B-Q’s to many events and organizations. A 100% of the $100.00 rental we collected this year will go towards the BC SPCA. We would like to take this time to thank everyone who has rented a Car-B-Q, and value your continued support.